Whether her style is minimalist and fanciful, modern and exquisite, or fun and rebellious, this winter season, the Dessange woman is dazzling once again. Rebellious, feminine and naturally stylish, the Camille Albane woman enjoys her paradoxes. She is a reflexion of her city, whether she was born there or whether she chose it. This collection is all about fusing clean cut, clear lines with asymmetrical, contemporary elements to create hairstyles that surprise, excite and ignite your passion for fashion and style! New hairstyles by the Zentralverband des Deutschen Friseurhandwerks. In this collection the stylists drew inspiration from the freedom of summer, fun street styles and an overall celebration of different cultures and couture. Serinda Swan surprised everyone while walking the red carpet last summer. She cut it in a super short pixie and bleached it to a stunning platinum blonde. The VOG Coiffure team relied heavily on the historically rich and super chic environment of Italy to serve as a muse for this collection of styles and colors. This collection is all about pops of color, bouts of playfulness and buckets full of couture. Blurred is a minimalist collection, with intimate inspiration and very much linked to emotions. The NO.ON hairstyles are inspired by man's relationship with technology, the thin line between the real and the virtual. Growing out your hair, especially when you have rocked a pixie cut for a long time, is probably one of the hardest things you can attempt to do in life. It is totally acceptable to care about your hair and actually have a desire to maintain the way that you look, keep up appearances and not let yourself fall by the wayside. Easy to follow tips for men's hair care. The basics when it comes to establishing a regular hair care routine. 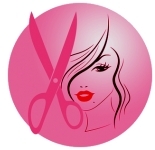 Reasons why women think about chopping their long hair, what brings up the urge and how to combat the urge to cut. Hairstyles to wear to the gym and cute solutions for when you don't have the time to style your hair post workout. Hair is a perfect medium to stand out in the crowd and let everyone know that you love your mate. Matching haircuts or hair colors are much fun! There is a model for every taste and every style. We put together 10 tips for you so that nothing can go wrong.